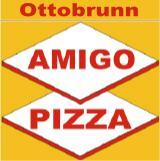 The Amigo Ottobrunn delivery service is based in Ottobrunn Am Bogen 3. For years, the fast and reliable food delivery service for international cuisine in and around Ottobrunn. Ottobrunn, Neuiberg, Riemerling Waldperlach, Putzbrunn Wastes Stockach Unterilberg, Neuperlach, Unterhaching, Taufkirchen, Hohenbrunn, Neukirch, Stockach, Höhenkirchen, Brunnthal Altperlach, Fasanengarten, Oberhaching, Otterloh, Hofolding. to place an order today through our partner deliver24.de! and select from the menu.